Even as classic uses of telehealth continue to grow, hospitals and health systems are applying it in innovative ways to support their clinical and financial goals. To better understand how consumer telehealth is being applied and implemented, Teladoc in partnership with Becker’s Healthcare, conducted a benchmark survey in December 2016 that aimed to gain insight from U.S. hospital and health system executives on the current consumer telehealth landscape. The goal of the survey was to develop a benchmark tool for hospital leaders for their consumer telehealth programs and also provide insight to hospitals and health system stakeholders on best practices for implementation and lessons learned. The findings represent responses from 179 health care executives and other key consumer telehealth stakeholders from for-profit and non-profit organizations representing acute care, academic and community hospitals in both single state and multi-state systems. Among the key findings: 76% of hospitals have or will be implementing consumer telehealth by December 2018 and 69% of the organizations who have consumer telehealth will be expanding. 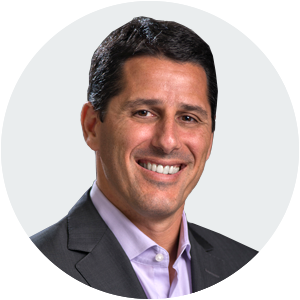 Dr. Alan Roga serves as president of the provider market for Teladoc. He has full P&L responsibility for the strategic direction and management of Teladoc services offered to hospitals, health systems, retail clinics and physician groups. Dr. Roga was founder and chief executive officer of StatDoctors, a national telehealth company serving individual member-patients through agreements with organizations including hospitals and health systems. He led StatDoctors from its inception in 2009 to its acquisition by Teladoc in 2015. An emergency medicine physician, Dr. Roga is a fellow of the American College of Emergency Medicine and a diplomat of the American Board of Emergency Medicine.